Find your foursome! Ballard Putt Putt & Beer Crawl to Benefit Bellwether Housing is happening Sunday, May 7 from 1:00 pm – 5:30 pm. 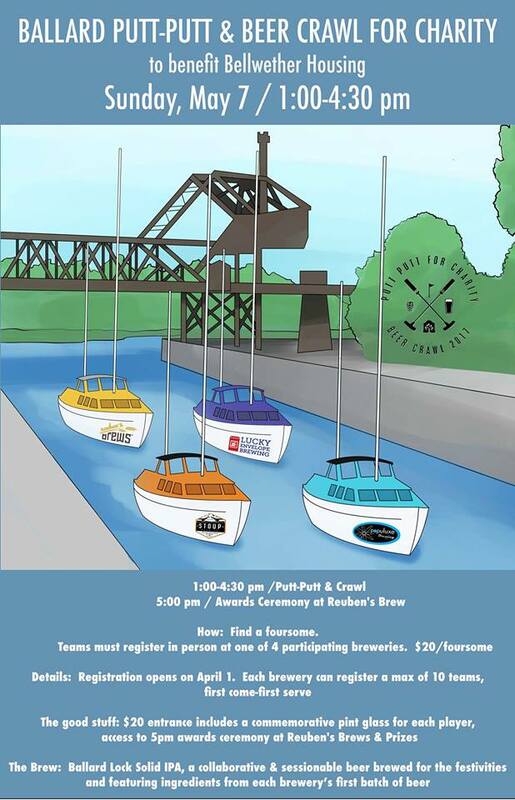 Sponsored by West Woodland’s own Lucky Envelope Brewing, Populuxe Brewing, Stoup Brewing, & Reuben’s Brews. $20 entry fee goes to local non-profit Bellwether Housing.